A quick look in any tack room will reveal a treasure trove of items, selling your unwanted items online is a great way to raise cash. 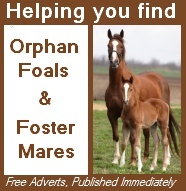 Perhaps you have a horsebox or saddle for sale" or some horsey clothing"
With thousands of visitors from across the UK and Ireland, EquestrianNeeds.com is one of the best websites for advertising. We also share adverts with 1000's of our Facebook friends, Fans and Twitter Followers. Advertise easily online. Help features are available to guide you through every step and ensure you get the most from your advert. You sell as many items as you want in one advert and can add up to 4 photos, You Tube footage, links to web or social media sites as well as printing your advert as a poster to place locally or email it direct to friends. Adverts are free and are published immediately. Any changes can be made easily by logging into your account. You will be asked to complete a form which contains all the key information needed to sell your item. You can add up to 4 photos, along with You Tube Footage and links to your website or Facebook page. You can also advertise your item in either Sterling or Euros. Find conversion rates here. After successful payment, your advert will be published immediately and will appear on our Social Media Sites (Facebook Page and Twitter) within a few days. 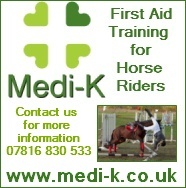 Don't forget you can print your advert as an A4 poster to place or locally or email it to friends.